The success of the inaugural GAP National Adoption Day last year has encouraged its ambassador Todd McKenney to front the 2019 campaign. McKenney, a star of stage, radio and screen, has two pet greyhounds (Nancy Hayes and Joey) and it was his involvement as an owner that encouraged him to become attached to the Greyhound Adoption Program (GAP). McKenney said he was happy to be a part of the campaign this year because he was “blown away” by the success and response from last year that resulted in 212 greyhounds being adopted nationally. 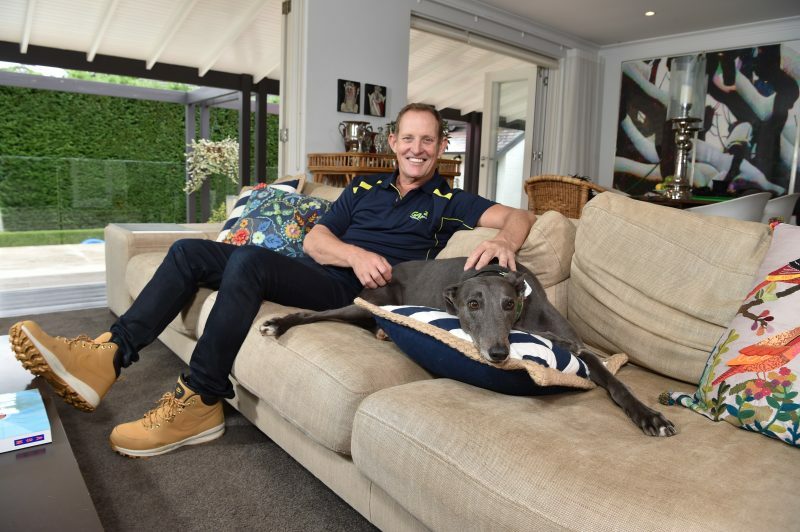 “I went to the Melbourne event last year and it made me feel very warm to know that our message that greyhounds make great pets is getting out there,” McKenney said. “They really are the best dogs. They are playful, cheeky and fiercely loyal but it is their loving nature that I love the most. Tasmania will again participate in the national event at TAB Park Elwick on Sunday, April 28, starting at 11.30am and concluding at approximately 1.30pm. Tasracing CEO Paul Eriksson said National Adoption Day was another initiative that fits with Tasracing’s focus on animal welfare as its overriding priority. “We want to ensure the best possible life for every Tasmanian greyhound before, during and after their racing careers,” Mr. Eriksson said. “It is great that we are able to unite with the greyhound racing governing bodies of every other state in Australia to present what will be another huge day for greyhound adoption in this country. A number of adoptable greyhounds will be at the Tasmanian event on April 28 with Tasmania’s GAP manager Susan Gittus and a number of GAP volunteers on hand to answer all questions relating to the greyhound adoption process. As a direct result of last year’s inaugural NGAD at Elwick, eight greyhounds were adopted to take the monthly total to 12 which was double that of the previous month and of the same month in 2017.